Individuals looking for most pest control services are looking for immediate solution to a pest or wildlife control problem. As a result, any marketing efforts for such services needs to be done so that the company is present when someone is searching for the service online. Marketing solutions for home improvement companies do need to take in consideration the specificities of the industry or niche market. Marketing a pest control company online is slightly more than just developing a website with a domain name that is the same as the name of your business. The goal is to drive potential customers to the website and customers tend to do so when your website appears in the top ten search results on a search engine. Developing the right website from start up is crucial, that is, using search engine optimization so that from the word go, search engines love your website. Doing it this way saves time and money in the long run. A professional would probably be able to have your website appear in the top ten results with in a couple weeks, however you would have to select a company that first understands the type of business you have, so as to better generate and search for the correct keywords that suit your business. You should be very active in this process with the company selected to assist with the marketing, because appearing on the first page of a search engine is one thing, but you also want to entice potential customers to either order your services online or call your company instead of your competition. Many companies will try to sell you PPC (pay per clicks), banner ads or adwords type of marketing tools, however these can become very expensive and cannot really guarantee quality traffic to your website. 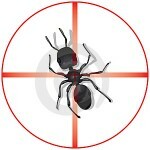 The cost per click for pest control services increases substantially during peak seasons. And since most people look around for quotes, you might get two, three or even more clicks before you get a call. Search Engine Optimization is probably the best way to market your company online, so that it shows on the first page of a search engine. It has be proven that persons in search of anything tend to click on the free/natural results before selecting the paid ads. So you want your website to show naturally. This way, the cost for acquiring customers will be lower over time. Marketing your website online is a sure way of increasing business, once done correctly.